There are currently no setups for Kartodromo de Praia Grande. Add a Setup. Then in the mod manager ensure components is checked, and mlt is selected. Click the mod, click install. 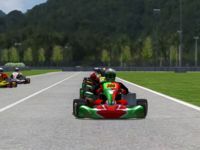 Thanks to Euskotracks for Tres Millas (rFactor2)!